Omurice is a western-influenced Japanese cuisine consisting of an omelette made with fried rice and usually topped with ketchup. There is omelette rice in where I live too, which is known as Nasi Goreng Pattaya. Nasi Goreng Pattaya (Pattaya Fried Rice) is a Southeast Asian fried rice dish made by covering or wrapping chicken fried rice, in thin fried egg. Instead of ketchup, the toppings are usually sweet chilli sauce. 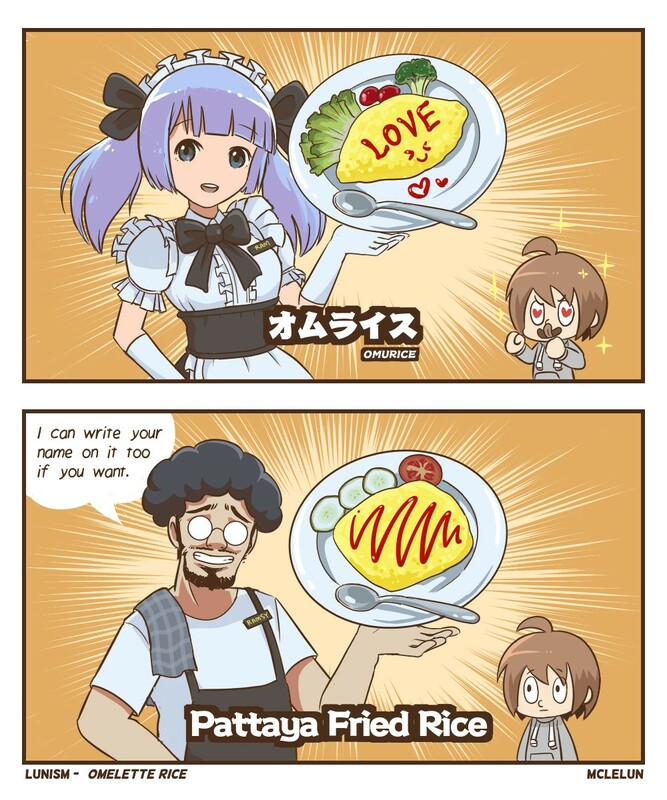 But the main difference is we don't have maid writing lovely messages on our food over here.